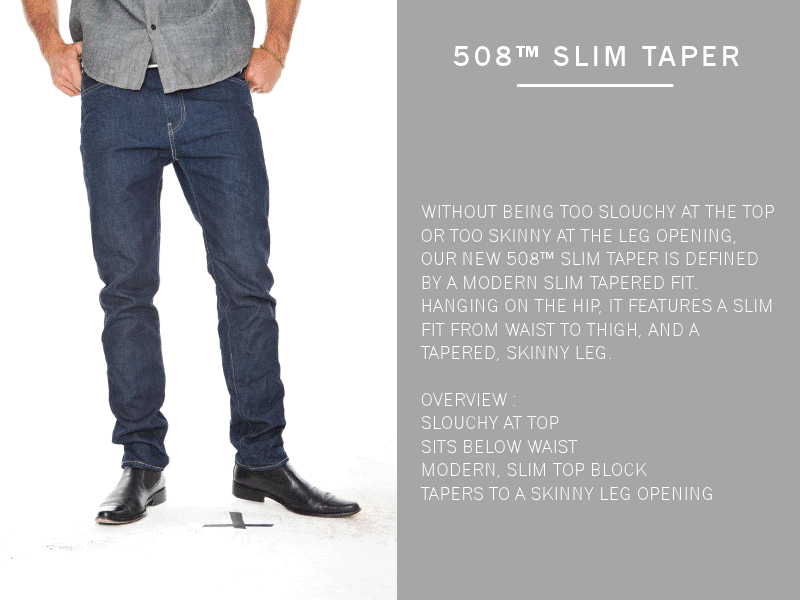 In 2011 the Levi’s® brand launched the perfect complement to its already iconic denim portfolio: the 520TM Taper. In keeping with our pioneering spirit, Levi’s has made our Taper Collection a focal point rather than a footnote, and they are the first denim brand to do so. In Season 3 2012 the Levi’s® brand will debut two new Taper fits, the 508TM Regular Taper and the 562TM Loose Taper. Levi’s will also reintroduce the 520TM as the Extreme Taper. With these three fits, the Levi’s® brand will capture a range of men looking for the fresh, effortless cool that comes with this innovative fit.